Urinary albumin excretion is a strong predictor of cardiovascular disease. 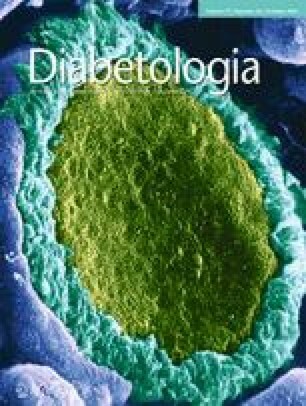 It is uncertain whether improvement from microalbuminuria or deterioration from normoalbuminuria over time in patients with differing changes in glucose and BP change their cardiovascular risk. Data on mortality, cardiovascular and renal outcomes were analysed in 22,984 patients from two large parallel randomised clinical trials followed for 56 months. A central laboratory analysed first morning spot urine samples at baseline and after 24 months, and events were recorded over the subsequent 32 months. Patients were stratified by changes in albuminuria, glucose status and mean systolic BP over 2 years. There was a strong association between albuminuria status and all-cause and cardiovascular mortality and combined cardiovascular and renal endpoints (all p < 0.0001). Changes in systolic BP control had no effect on mortality, whereas glucose status was significantly associated with all outcomes. Irrespective of BP control or glucose status, patients showing an improvement from microalbuminuria to normoalbuminuria after 2 years were at a lower risk of all outcome measures than patients showing deterioration from normoalbuminuria to microalbuminuria (HR for all-cause mortality 0.65 [0.52–0.83], p = 0.0004). Patients who showed improvement to normoalbuminuria over 2 years were at lower risk of all-cause and cardiovascular mortality and of cardiovascular and renal events than those who deteriorated to microalbuminuria over time. Albuminuria over time was significantly better than glucose status and BP control in predicting mortality and both cardiovascular and renal outcomes in patients at a high cardiovascular risk. The online version of this article (doi: 10.1007/s00125-014-3330-9) contains peer-reviewed but unedited supplementary material, which is available to authorised users. Funding for this research was provided by Boehringer Ingelheim. RES, MB, GM, MAW, KT and SY report receiving consulting and lecture fees and research grants from Boehringer Ingelheim and from other companies manufacturing angiotensin receptor blockers, ACE inhibitors and other BP-lowering drugs; HS is an employee of Boehringer Ingelheim. All other authors declare no conflict of interest. All authors substantially contributed to the conception and design of the manuscript, acquisition and interpretation of data and approved the final version. The analysis was planned by RES, HS, MB, KT and SY; data were analysed by HS. MM was responsible for the laboratory analysis and made critical revisions. RES, RS and HS drafted the article; and MB, GM, MAW, KT and SY critically revised it for important intellectual content. All authors had full access to the data. No medical writer or other people were involved in the design, analysis or writing of this manuscript. A full list of all investigators has been published . RES is guarantor of this work.